The rise of the debt-prone economy indicates that the future will remain volatile. Economic evolution is complicated, and often paradoxical, but its outcomes seem to have a frightening clarity. 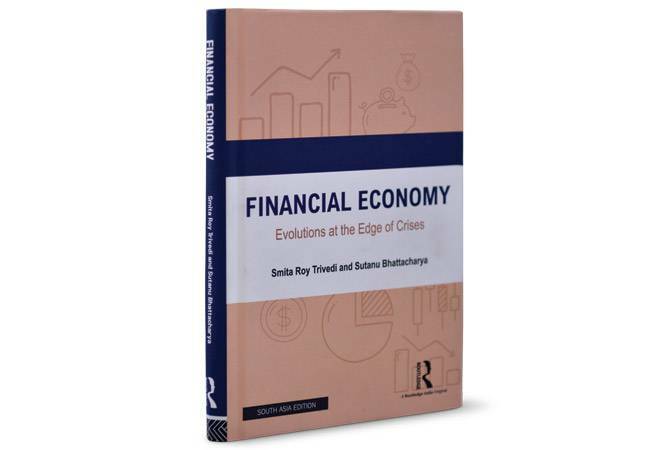 Towards the end of their book - Financial Economy: Evolutions at the Edge of Crises - authors Smita Roy Trivedi and Sutanu Bhattacharya state it in no uncertain terms when they write, "We are mounting debts on our future to inflate our present activities. So our future is lost in the present, as our present debts must be repaid ultimately out of our future earnings." The financialisation of the global economic system is mainly responsible for this environment. "About fifty years ago, we used to save first for a period of time to build a fund to buy a house or a car, and then afterwards purchase those with our savings. Nowadays we purchase first and start consuming those by taking loans, and then repay the loans in the future," the duo writes. There has been a change in attitude towards debt in the last 50 years, but there is more to it. According to the International Institute of Finance, the total global debt stood at $238 trillion at the end of December 2017, up by 42.5 per cent from the end of 2007. It had happened despite the fact that excessive debt was one of the key reasons behind the 2008 financial meltdown. Interestingly, the debt of non-financial corporate houses has gone up nearly 63 per cent to $70 trillion. The reason? In the aftermath of the financial crisis, corporate firms have used low interest rates to buy back their shares and drive up their earnings per share. In the process, they have managed to drive up their share prices. Given that top executives now hold a lot of ESOPs, company debt has been used to increase personal wealth. However, the debt used to buy back shares does not create jobs, which the global economy desperately needs these days. Household debt has also gone up by around 29 per cent to $45 trillion. And the reason? "GDP per capita registered a.. decline post 2009.. While South Asia, East Asia, and the Pacific have registered some respectable per capita growth rates, the rest of the regions have recorded much lower per capita growth rates," the writers say. The world has also witnessed a rise in economic inequality, with the top earners cornering the bulk of the gains. According to the writers, "The inequality worsened over the last two decades in more than three-quarters of OECD countries and many emerging economies." The right way to tackle these is through better education, but it is easier said than done. Politicians addressed the issue of inequality by making sure that easier credit was accessible to their voters. Raghuram Rajan, former governor of the Reserve Bank of India, explains this very well in his book Fault Lines: How Hidden Fractures Still Threaten the World Economy. "Since the early 1980s, the most seductive answer has been easier credit. In some ways, it is the path of least resistance," Rajan has written. This strategy, employed by politicians before the financial crisis, has continued ever since and explains why the household debt is going up. Again, due to sluggish growth, governments have to borrow more. The government debt for 2007-2017 has jumped by 83 per cent to $64 trillion. That leaves us with the financial sector, where the debt has increased by a little over 9 per cent to $59 trillion since 2007. However, this debt has gone up by more than 10 per cent between 2016 and 2017. It means financial firms are back to leveraged trades with a bang. "Financial speculations naturally make the economies more susceptible to the crisis and intensify the downturn once it starts," the writers observe. Overall, the writers have done a reasonably good job of telling us what was wrong with the global economy before the financial crisis, continues to be wrong. But they have made the classic mistake that many academics tend to make - they have written the book for other academics.